Halloween is just around the corner so start clearing your lawns to make room for some of these awesome Halloween themed lawn decorations! Whether it's carving out classic Jack-O-Lanterns, hanging up plastic skeletons, or another spooky idea from your imagination, give your lawn the power to let out screams and gasps this year. 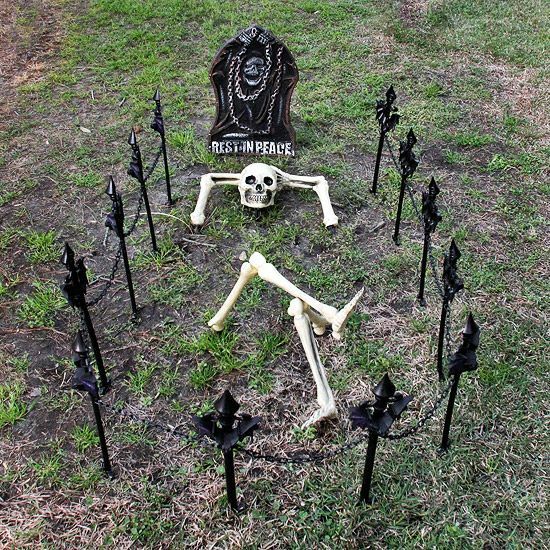 Below are some simple and easy decoration ideas to make your lawn the talk of the block on Halloween! 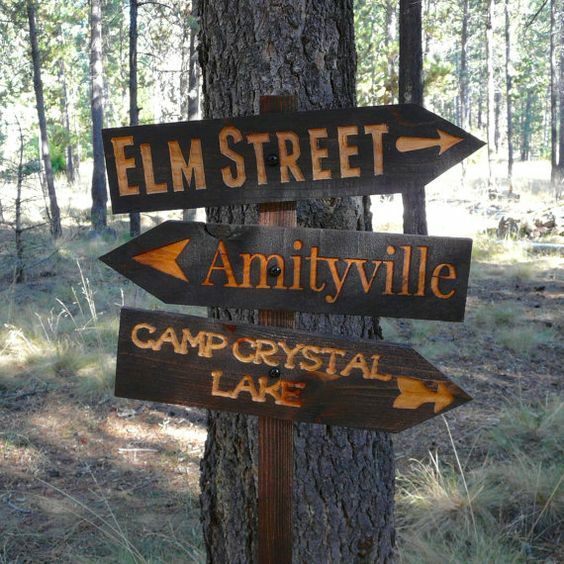 Show off your cinema knowledge by creating these tribute signs from classic horror films! 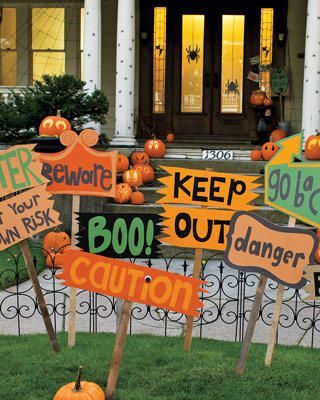 These simple signs are a cheap and great DIY activity to give your lawn a Halloween feel! 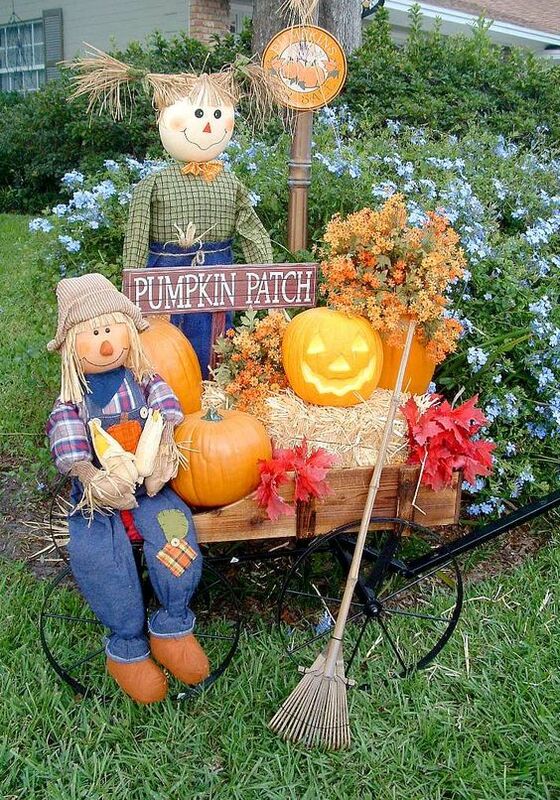 Although not particularly frightening, you can use scarecrows and Jack-O-Lanterns and set up an adorable pumpkin patch to bring attention to your lawn! 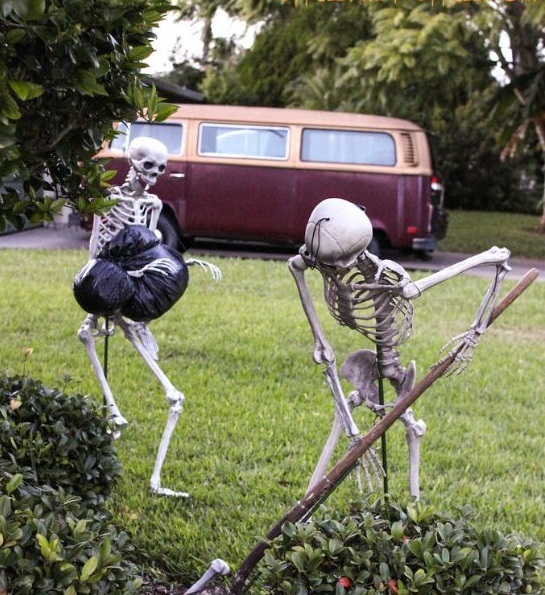 Combine funny and scary by positioning skeletons in ordinary, yet hilarious scenarios!